Our winter session of Kids in the Kitchen is in full swing here at Wissahickon Valley! This time, 3rd and 4th graders are getting things cooking. Our winter session is following an “eat around the world” theme! 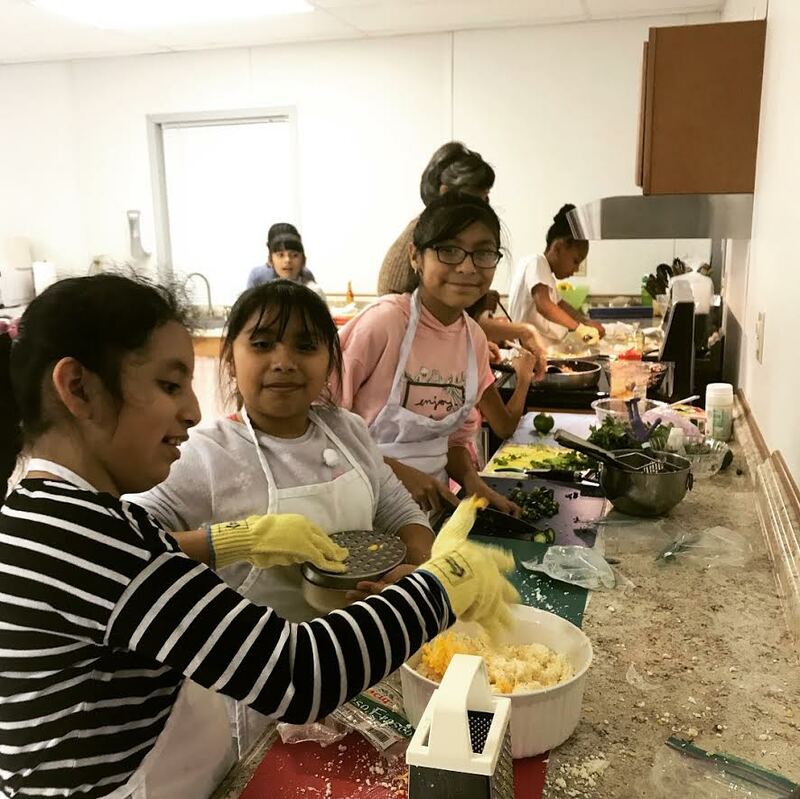 Each week our Kids in the Kitchen members not only prepare and enjoy a dish from another country, but they also learn about the location, climate and traditions of that particular country. So many factors influence a nation’s cuisine and we are learning all about them! We began two weeks ago in Jamaica where the tropical climate makes for tasty plantains and an abundance of citrus fruits. Our members snacked on Jamaican Tangors (a sweet and juicy cross between a tangerine and an orange) while they studied the geography of the country. Next things started to heat up! The kids each seasoned some chicken to make the traditional and sought-after dish – Jamaican Jerk Chicken! Of course, Jerk Chicken has some spice to it. To bring down the heat a bit, a group of our little chefs prepared coconut rice with kidney beans to pair with it. While the rice simmered and the chicken browned, we worked on slicing plantains and frying them to make delectable plantain chips! We added cinnamon and sugar to create a light, satisfying end to our meal! Our evening in Jamaica ended with our students serving each other and their teachers! Everyone devoured the Jamaican classics! 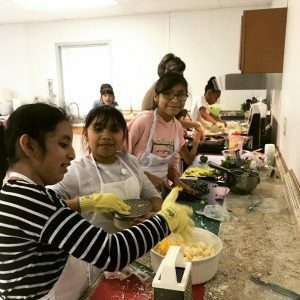 Kids in the Kitchen is a group effort and we would not be able to create such incredible dishes without the help and eagerness of our kid chefs! Check back to see what country we will “taste” next! Throughout the fall, Torch Club at the Indian Valley Boys & Girls Club had one goal – earn enough money to buy a flat screen tv for upstairs gamesroom. The Torch Club members worked tirelessly selling hot dogs, walking tacos, milkshakes and other treats at the Club. Each week the members inched closer to their goal. The group was motivated and driven and presented the Club with a new television shortly before Christmas. With the remaining funds, the members wanted a night out! 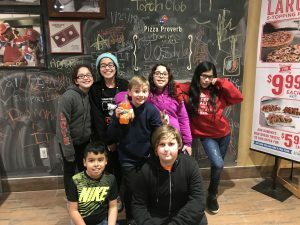 The group headed to nearby Dominoes for a night of socializing and yummy pizza! The members had the chance to interact with the Dominoes staff, ask questions about how pizza was made and of course, eat lots of pizza! Torch Club is about to embark a few new service projects including making no slip socks for local nursing homes and making blankets for Project Linus. The group also wants to buy t-shirts and maybe plan another fun field trip in the spring! 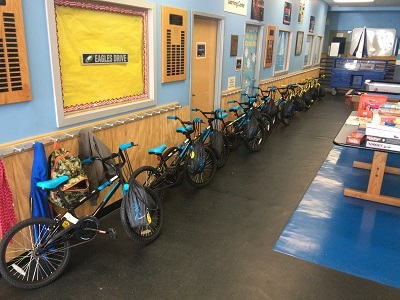 Thanks to a local company for donating 21 bikes to the Boys & Girls Club. 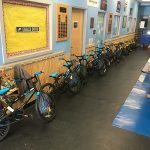 And thanks to Reimel Landscaping for transporting the bikes back to the North Penn Valley Boys & Girls Club. This past holiday season was truly a magical winter wonderland in Wissahickon Valley! Our club members had fun getting into the holiday spirit starting with our winter movie night. On three different screens, students and community members alike enjoyed hot chocolate, popcorn and Rudolph the Red Nosed Reindeer! The following week, our club members rocked the Sugarplum Shakedown! 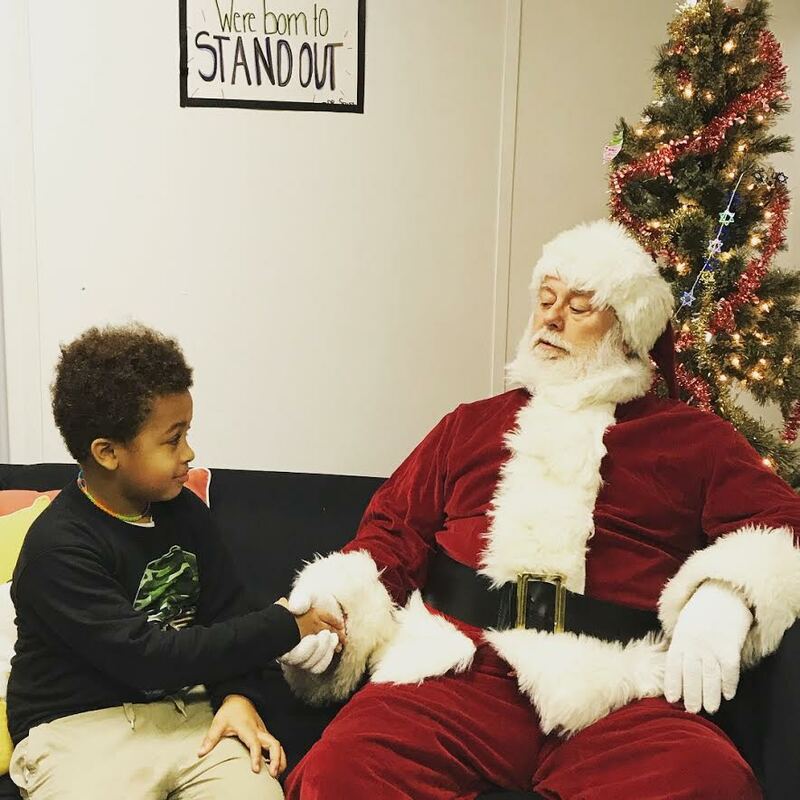 This was a holiday event with all things merry… cookie decorating, holiday crafts, games and of course, a visit from Santa! Each student was able to pick a gift from Santa’s sack of toys. 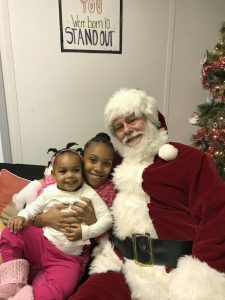 Santa and students had a jolly good time! Thanks for sharing your magic, Santa! 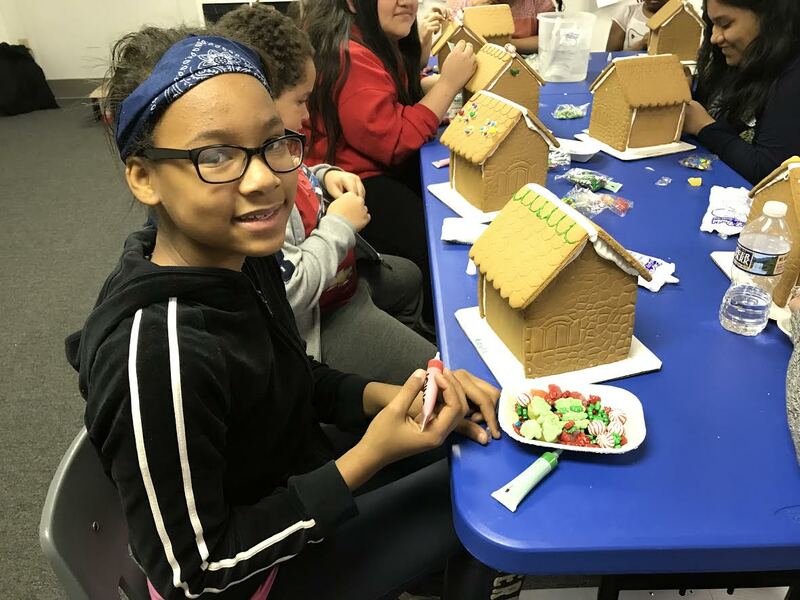 For our final soiree of the season, our club hosted a Gingerbread House making event! A local dance troop, Fruitful Children, provided the gingerbread houses and fixings for our members and theirs! Our new building had never seen so many guests, but thanks to their helpers, we were able to make it a magical end to our winter wonderland season! As winter break comes to an end, we are all looking forward to more magical moments that 2018 is sure to bring! 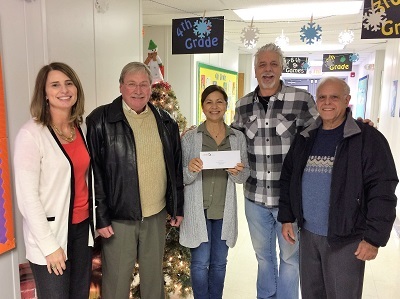 We received a $10,000 grant from the VNA Foundation for kitchen upgrades at our Wissahickon Valley Boys & Girls Club! 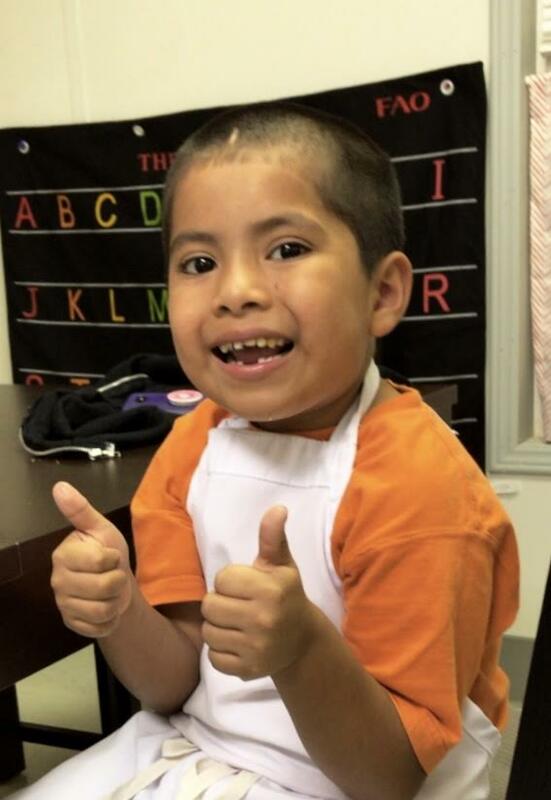 Our “Kids in the Kitchen” program will benefit from the grant which will include new appliances and equipment! Our new supplies will come in handy when our Club members get to cook for their families or when we host family events!Thank you VNA for all your support! 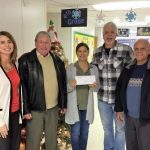 Pictured are ( l to r): Anne Frank, Bud Leister (VNA Board Members), Donna Kreamer, Bob Kreamer (Boys & Girls Club), and Dr. Dr. Jerry Sag (VNA Board Member).